WPSL NAMES ST. LOUIS LIONS FRANCHISE OF THE YEAR! 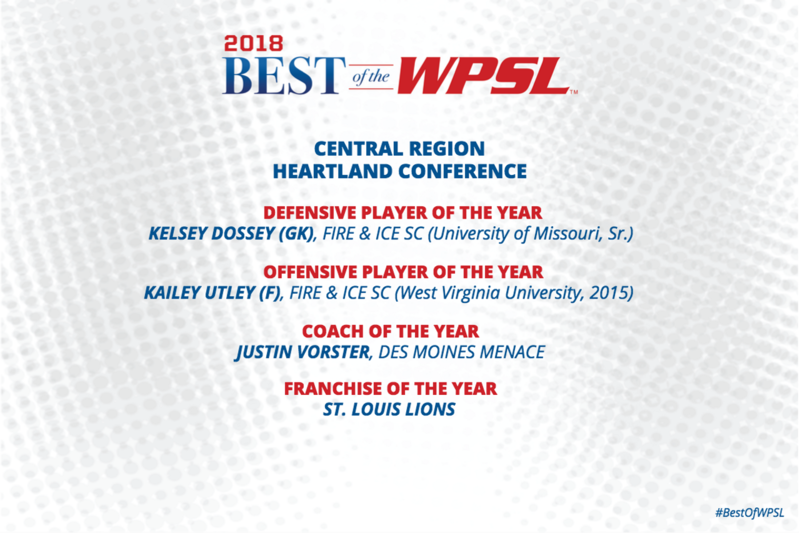 OKLAHOMA CITY – The Women’s Premier Soccer League, the largest women’s soccer league in the world, has announced its 2018 Best of WPSL winners for the Central Region. 2018 expansion clubs highlight the list of Central Region winners. Three of the four Franchise of the Year winners are expansion clubs — Fortuna Tulsa, St. Louis Lions and Fire SC 98. Fortuna Tulsa was a unanimous selection. Lonestar SC forward Jackie Acevedo, who has played for the Mexican National Team, was a unanimous selection for the South Texas Conference Offensive Player of the Year. Clubs within the conference vote to determine the Best of WPSL winners. The South Region will be announced Wednesday.